« E-Commerce Marketers: Have You Noted Facebook’s HUGE Banner Opportunity? I had never attended SXSW before because I always had other things happening, and the value proposition was never obvious to me. In general, I attend very few “social media” conferences as the hype usually exceeds the delivery in an “industry” that’s particularly prone to self-congratulation. This year, a client launched a new venture at SXSW, so I decided to stay a couple of days afterward to see what the noise was about. Here are my informal impressions that I hope will be useful to you in deciding whether it might be worthwhile for you to attend. I invite your comments and impressions, too. SXSW celebrates its 25th anniversary in 2011; it has morphed from a music festival (1987), to incorporate film (1994) and “interactive” (1995). You can get an excellent feel from Wikipedia’s history article. It’s important to realize that the DNA of the event is a music festival; there’s an element of Woodstock there, it takes over the city of Austin, which bears it well because Austin is very congruent with independent art, intellect, and fun yet with an appreciation for law and order. The atmosphere is intoxicating and stimulating. Austinites are very hospitable all around the city; due to last minute preparations, I had accommodations north and south of the center, and I got around on the small but efficient transit system, so I was exposed to a larger part of the city than most. The Warehouse District is retro and most of the bars, parties, nightlife and conference hotels are there. The festival calls its organization a “campus,” and this is accurate; the event has outgrown any conference center, which is a strength and a weakness: event programs list talks in five or six separate venues, and they have shuttles circulating among them during the day. That is frustrating because you can waste an inordinate amount of time when talks are in different venues. What is inexcusable is that the kiosks and materials are poorly designed, and it is difficult to organize yourself when you are oriented toward the presentation topics, which are invariably in different venues. The mobile application requires iOS 4.x, which is inconsiderate of people who don’t have the latest versions. However, the “campus” is a strength when you regard SXSW as a festival, not a conference. You will never be able to see everything you want anyway, it’s a sumptuous banquet, so you sample. There are too many people as well, which is a strength when you look at it that way. The event is having growing pains, and it’s mainstreaming fast. Many people I met were there for the first time. In retrospect, the festival’s “unconference” feel probably maintains the festival DNA because people wanting to attend a conference will not return. The most important CSF (critical success factor) is operating with a serendipity mindset. 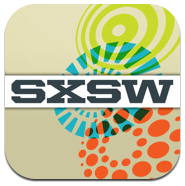 As a festival, SXSW is unstructured, so don’t think about it as a conference. Most people who return get this, and it makes people more approachable and open to connection. Get over “trying to get a lot out of” SXSW because you are fighting its lack of structure and creating mental resistance for yourself. Approach events, parties and sessions with a networking point of view. Choose topics that are likely to attract people you probably want to talk to. Be much more outgoing than you may be normally. Attend fewer sessions and linger and talk to people. The event is set up for this; there are usually gaps between events. Attend parties that are affiliated with companies, applications or technologies that are strongest connections for you because they will likely draw other people you want to meet. There is too much of everything, so be discriminating. When you do this, you can let go, have fun and be productive. Have coffee in pop-up cafes with live music. Don’t overlook the “expo floor,” where you can meet a ton of interesting companies that are relevant to social technologies. Unlike sessions and parties, you can cycle through them quickly. I met several potential business partners and client prospects. Of course it is laid out according to the festival: Interactive, Film, Music. Definitely use a geosocial app like Foursquare, Gowalla or Facebook Places to know where your friends are. They can also help you find interesting events to attend. Using geosocial at SXSW will enable you to understand its value proposition quickly. However, be prepared to be constantly frustrated by the lack of connectivity and tech breakdowns. The Interactive festival is growing exceptionally fast, and infrastructure is not keeping up. Try to engineer redundancy into your plans. Be aware of various wifi plans as well as your wireless phone capabilities. Hotels book up very fast, so you will reduce your costs and save travel time by reserving early. You will have the opportunity to see renowned speakers, so take good notes and share with friends who didn’t go.